Leather jackets rough style and looks feels like the part of nine tees now because we live in 2014 the new year and we wants to step out with a new glamorous fashion that should be designed for thisÂ year not for old years and old trends.The jacket or cloth should be classy and does not represent the old traditional fashion.This is hunger of fashion now to produce the most differentiating clothes in market by every industry.Keeping you demands in mind we produce Farscape Ben Browder Leather Vest that is the pure leather vest purely designed for you. 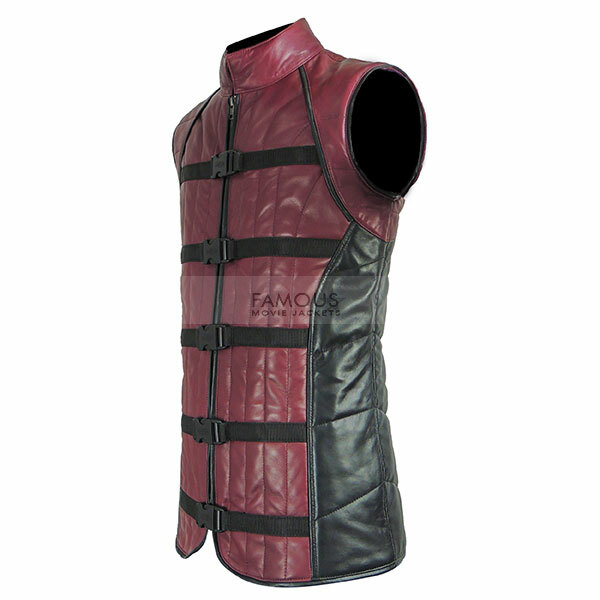 This John Crichton vest is a complete symbol of today’s fashion made top of the chart in short.This features in replica in red collar covering round neck collar and buckle chip closure in front combining it and giving a shirt fit look.Get it now before its too late. 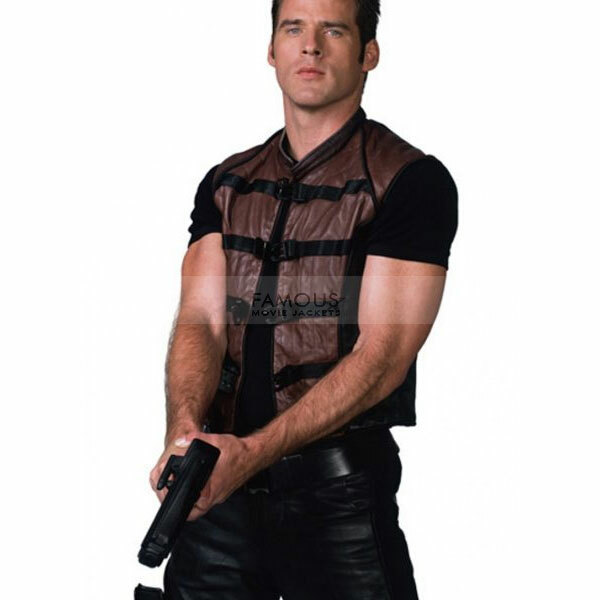 This Farscape leather vest is seriously the best of all and totally away from all old trendy things i used to wear till now really happy to have it. I was soo fed up with old style things just got one and feels like satisfied. This is spectacular, great, amazing, I have no words to describe my feelings that how much I am satisfied. Thanks a lot for make this stylish and good. Keep up the great work. i like the finishing touch that this vest have, my order delivered in 8 days as it is mention in the website, i wear it 4 time and i feel full comfort without any doubt. i get big disappointment when my delivered to me, i got XXLarge size and i order Large size, they ship me wrong item, when i return it and they delivered me the right one i got late for wearing this due some problem i missed the occasion where i want to wear this vast. 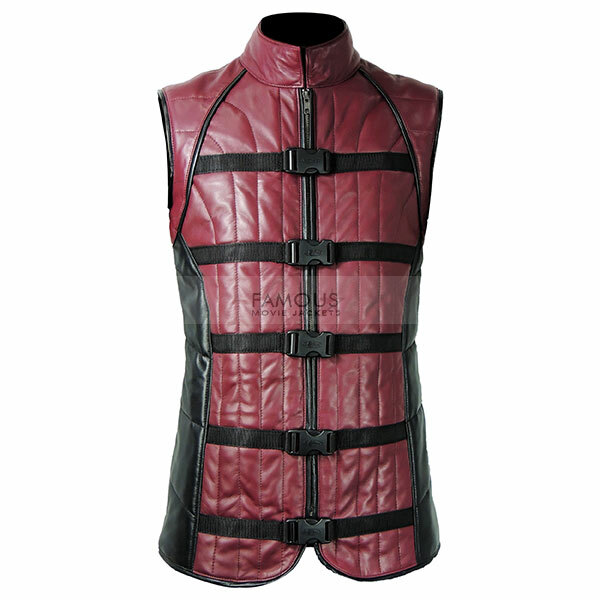 very attractive detailing in this vest extremely light weight to wear, the smell of leather material is great and prove it’s originality, i wear very roughly this vest but its durable zipper looks long lasting. 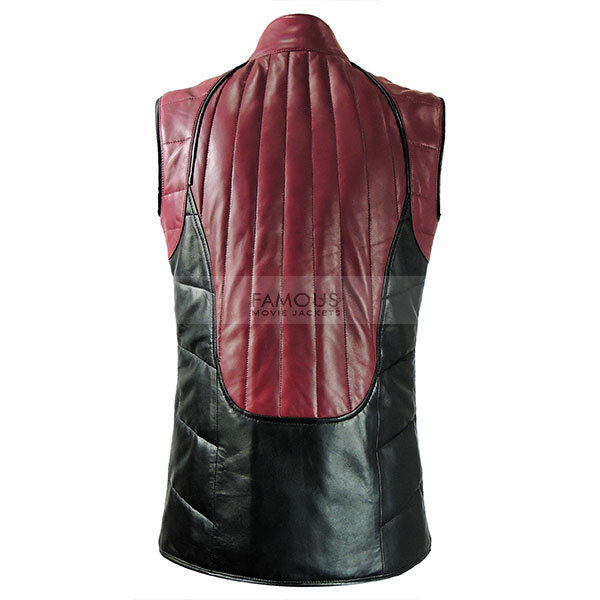 all time best leather vest it is this trendy looks and great leather material always in fashion in years and suitable clothing for any guys.